Posted: Thu Mar 22, 2018 2:05 am Post subject: New Graphic Novels! Today Merlyn's has a host of new graphic novels and kids books ready for your perusal including awesome titles like Aliens: Dead Orbit, Marvel Comics: The Untold Story, Science Comics: Robots and Drones, and Rick and Morty Volume 1! 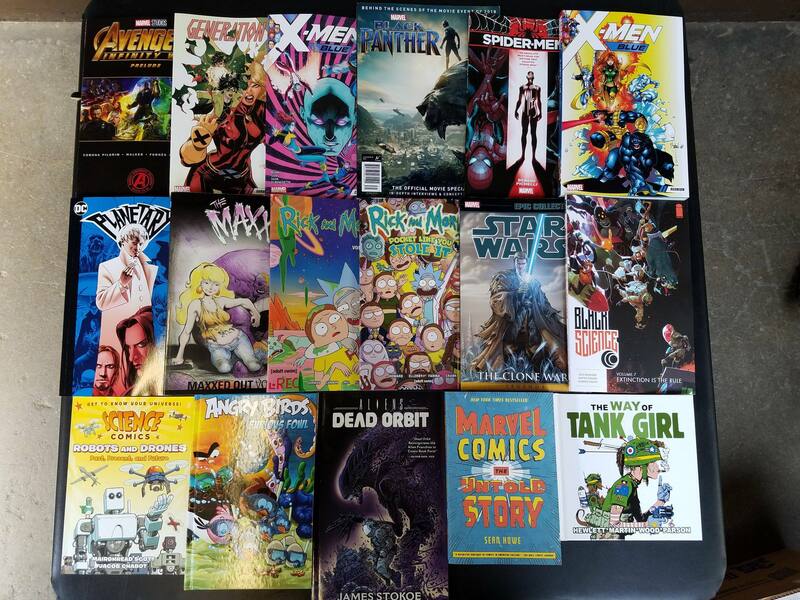 Come check out all these awesome new titles in-store soon!